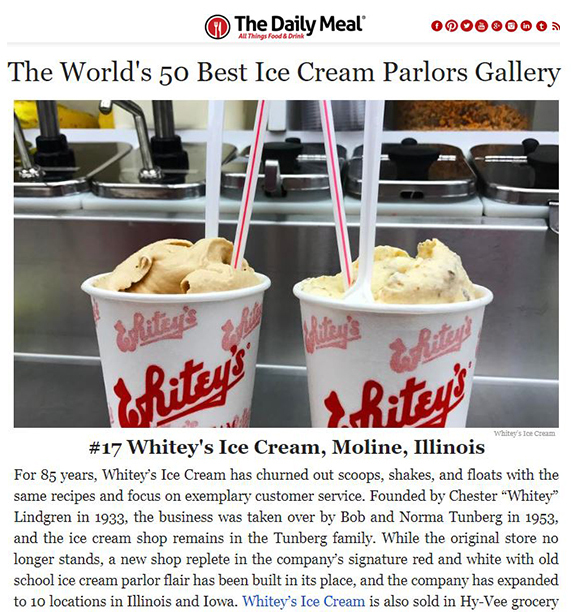 The Daily Meal takes ice cream almost as seriously as we do, and their “talented team of travel and food editors, writers, and contributors who have traveled extensively, taste-testing ice cream in all corners of the world” have named Whitey’s Ice Cream as one of “The World’s 50 Best Ice Cream Parlors“. Whitey’s came in at #17 with some of our new and summer flavors featured. The news was also featured on the Chicago Tribune. Stop by any of our locations today for your favorite Whitey’s Ice Cream treat! 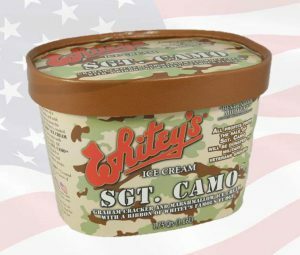 Whitey’s created a camouflage ice cream called Sgt. Camo, in which all profits from the sale of Sgt. Camo are donated to Military Veterans Groups.